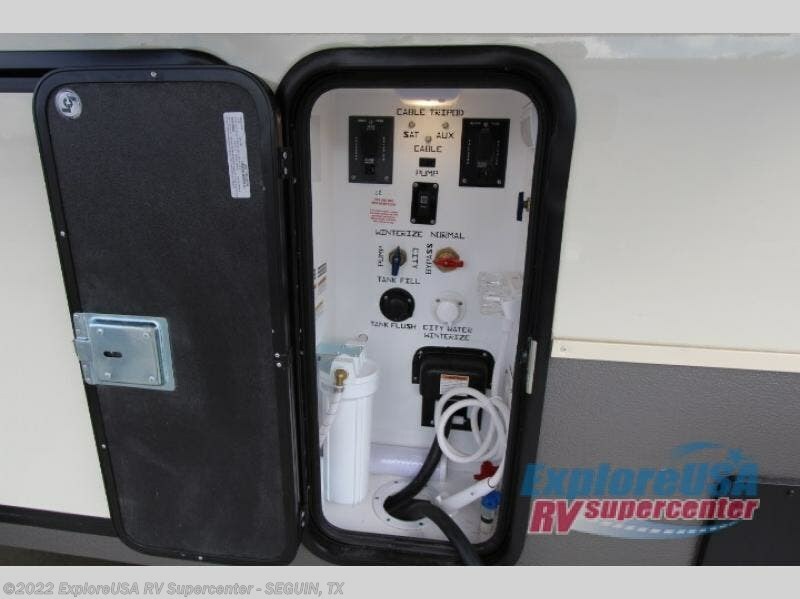 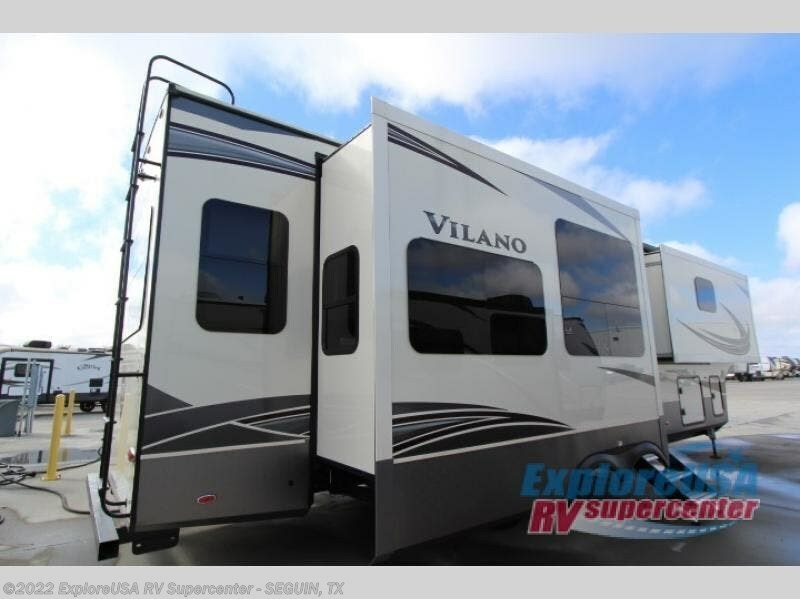 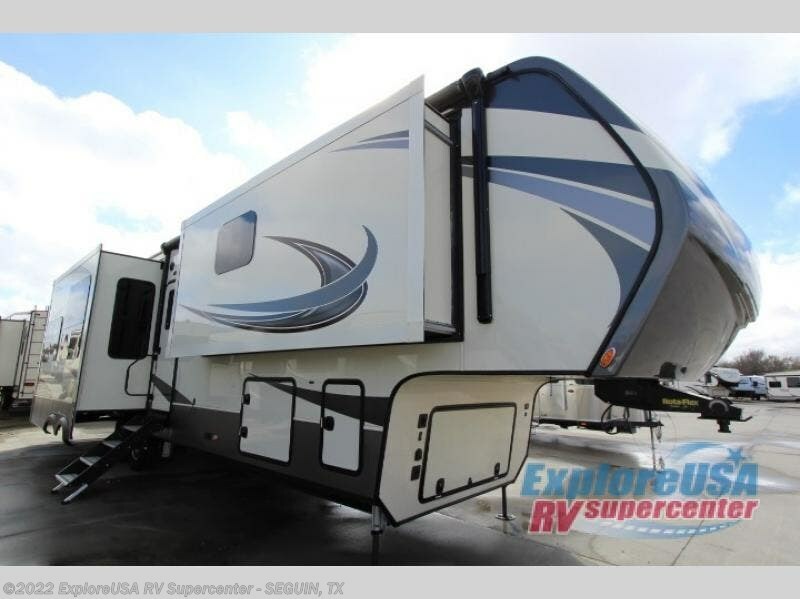 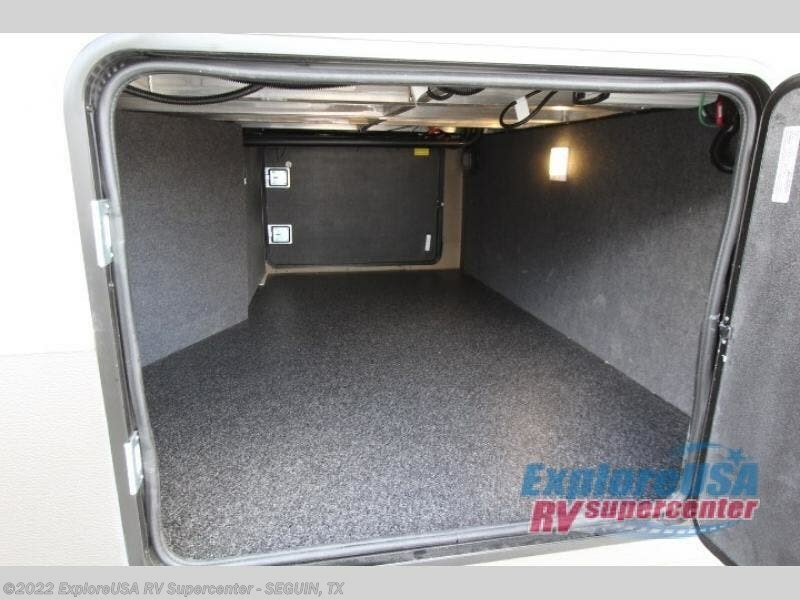 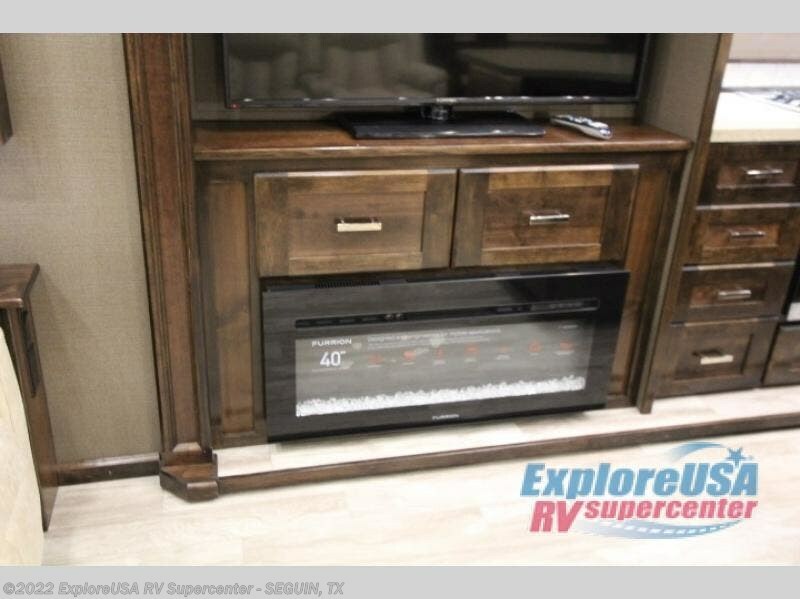 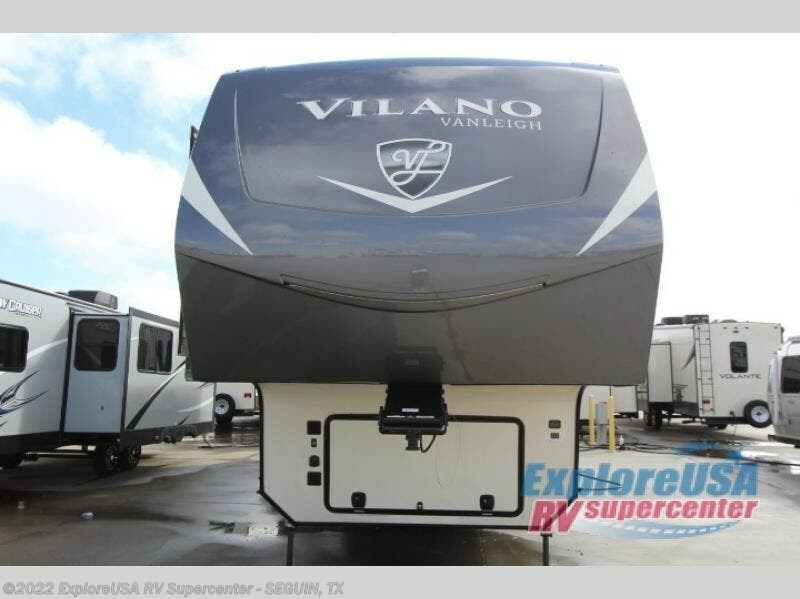 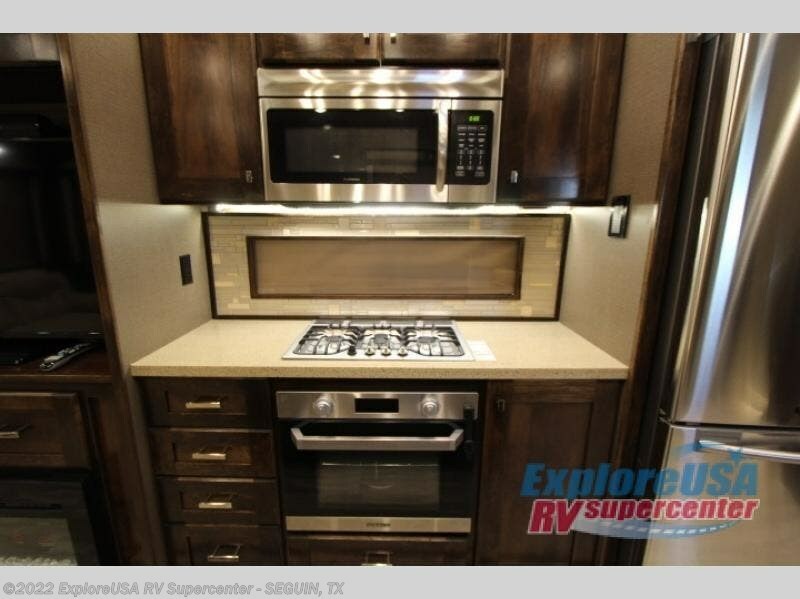 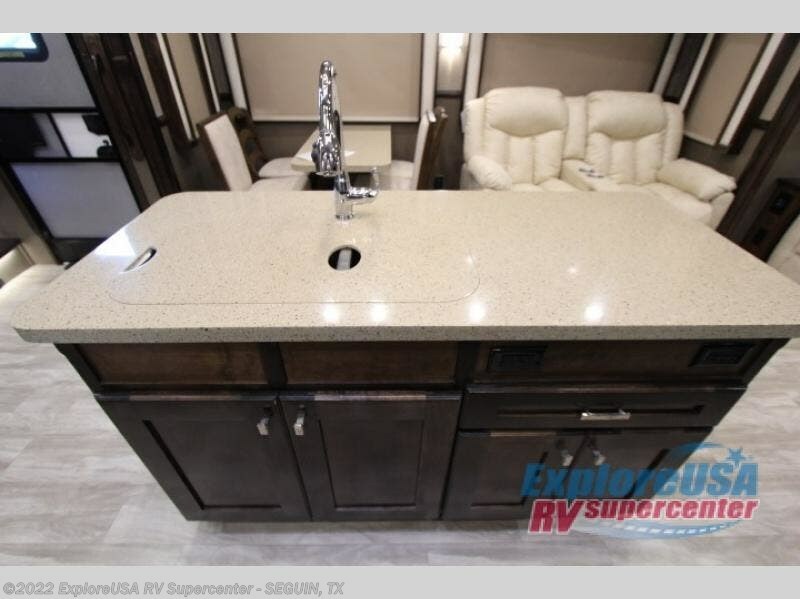 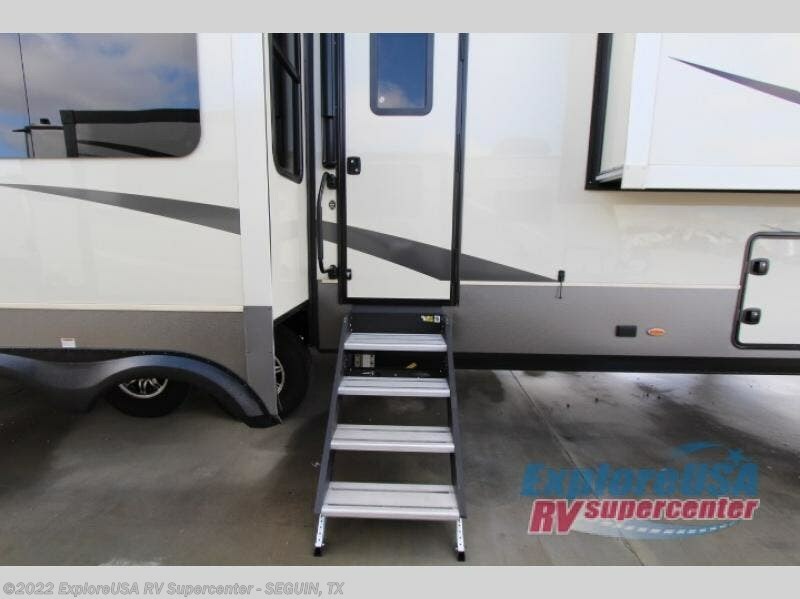 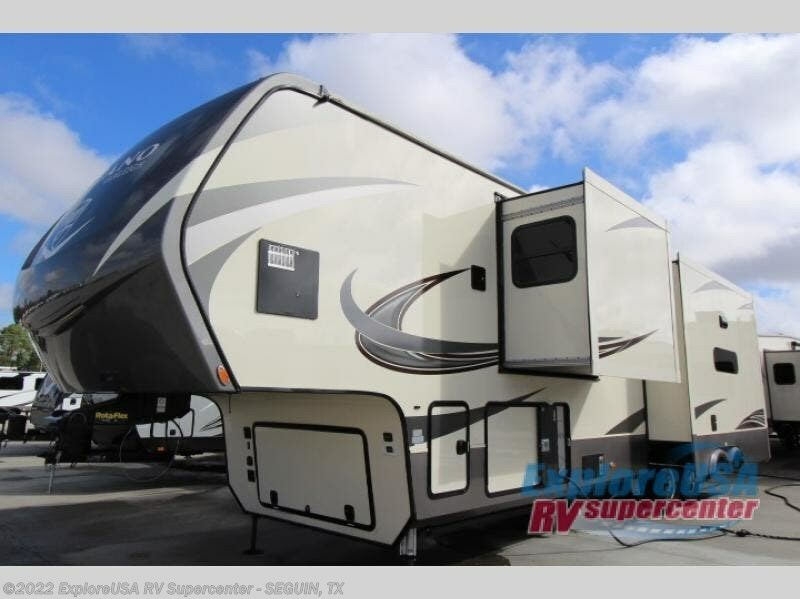 Enjoy many indulgent camping trips with this VanLeigh Vilano fifth wheel as you tour the countryside in style. 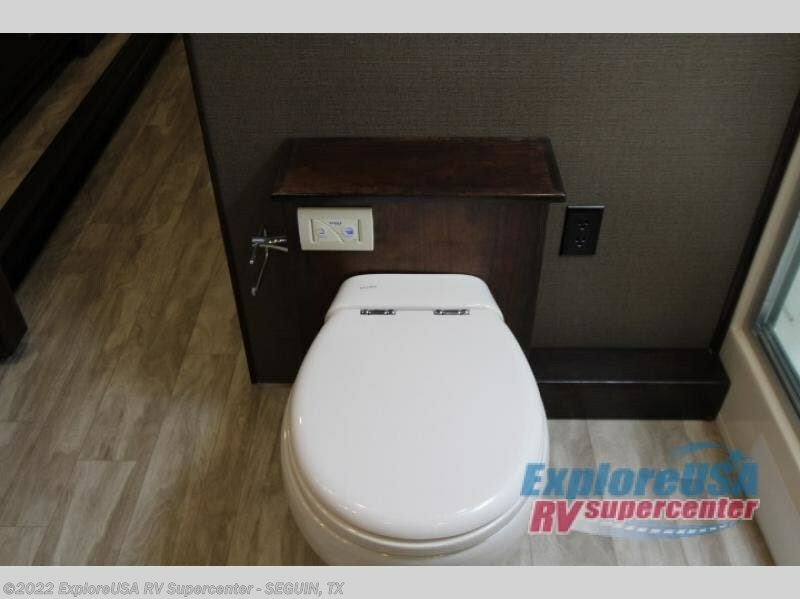 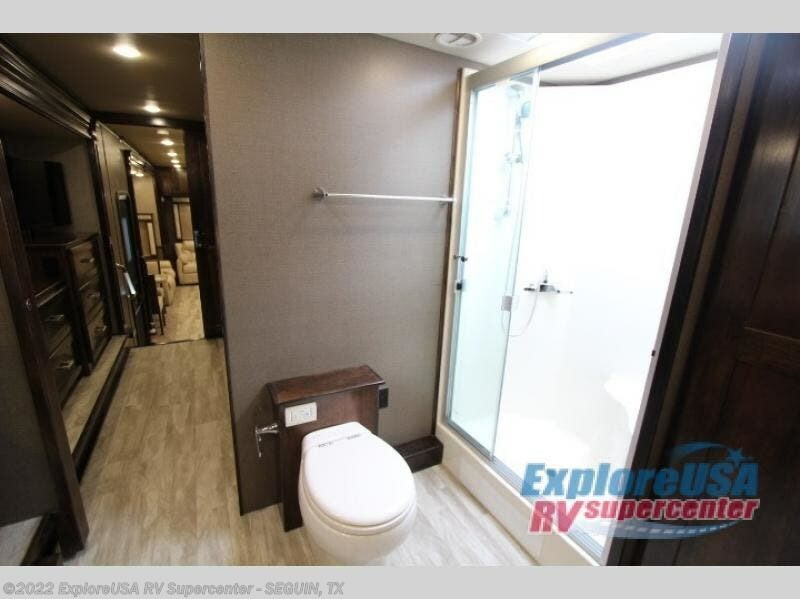 This model is an exceptional unit that not only contains a private master suite with its own full bathroom, but it also provides an additional half bathroom in the kitchen for all of your guests to easily locate. 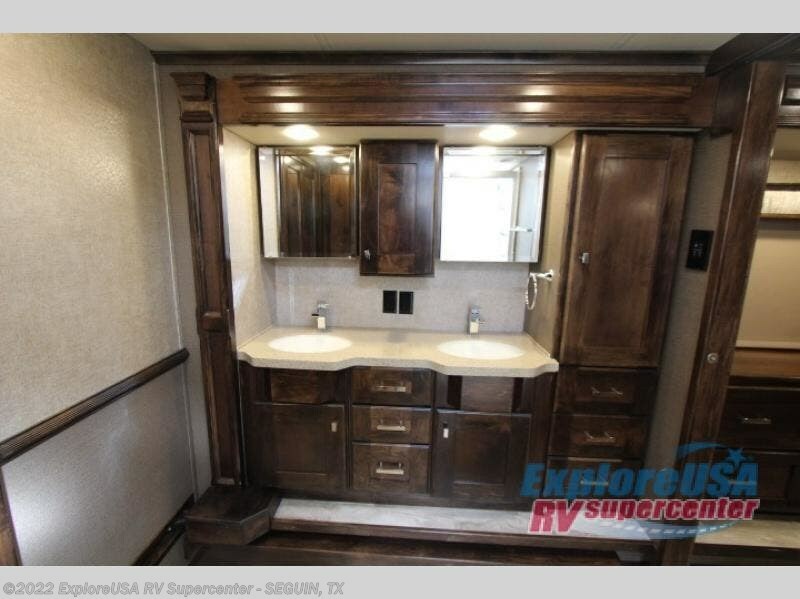 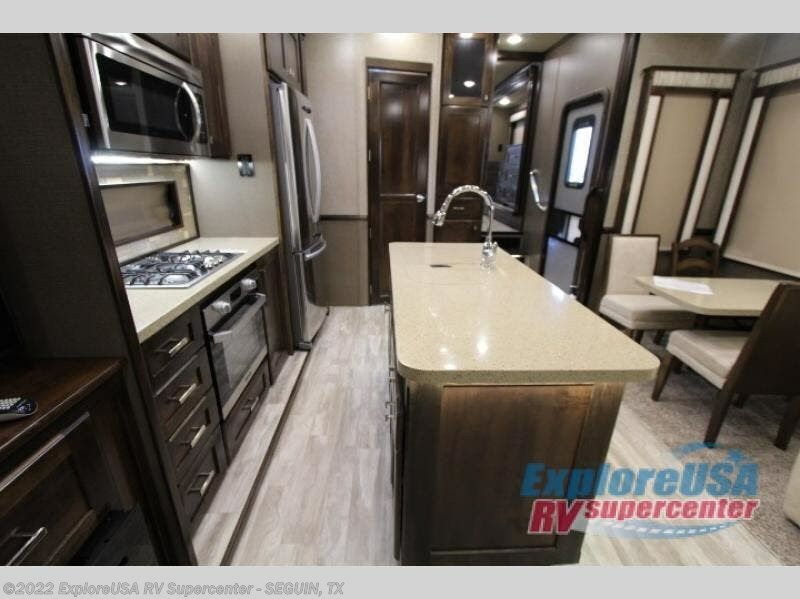 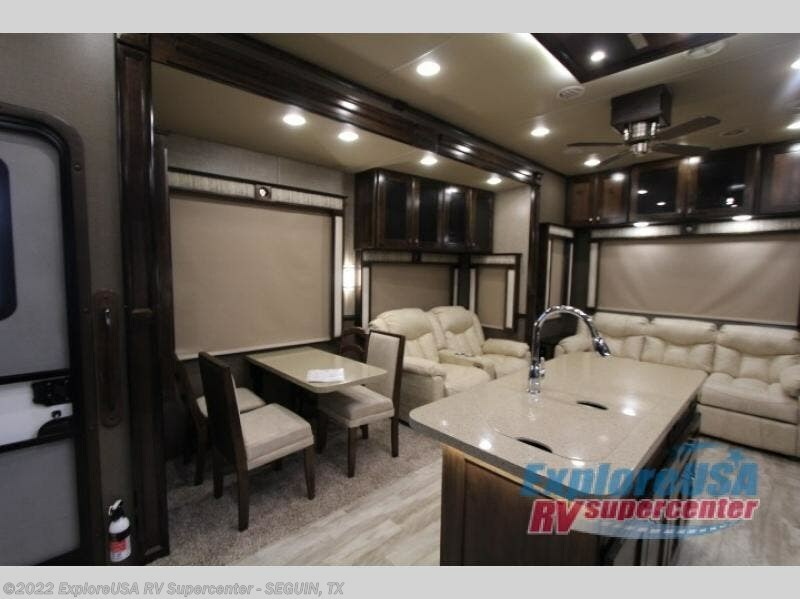 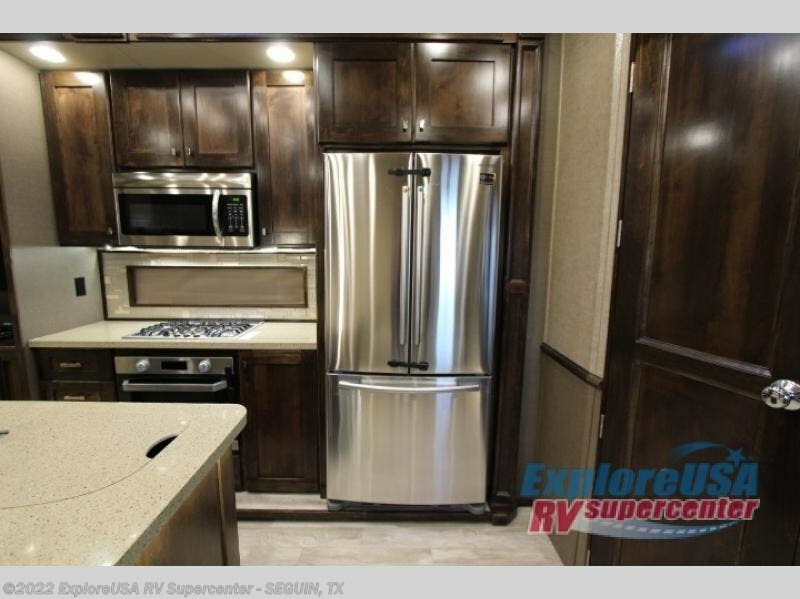 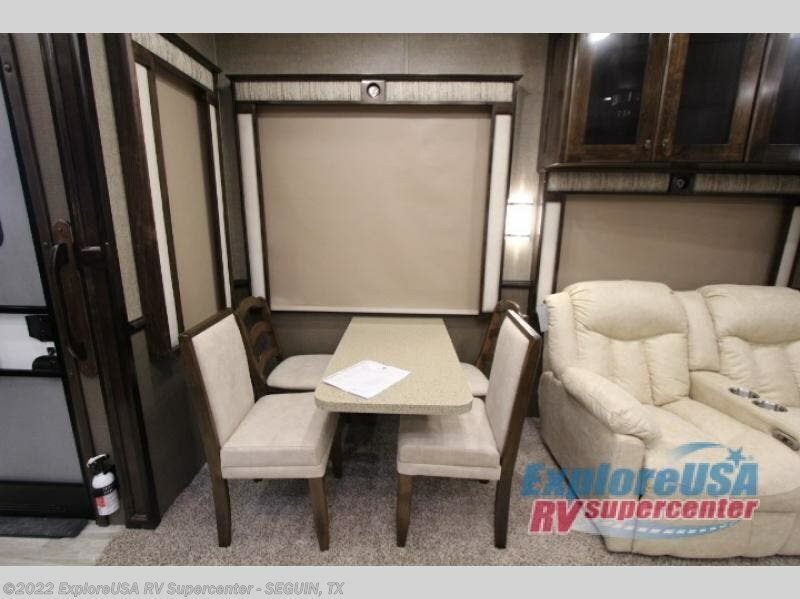 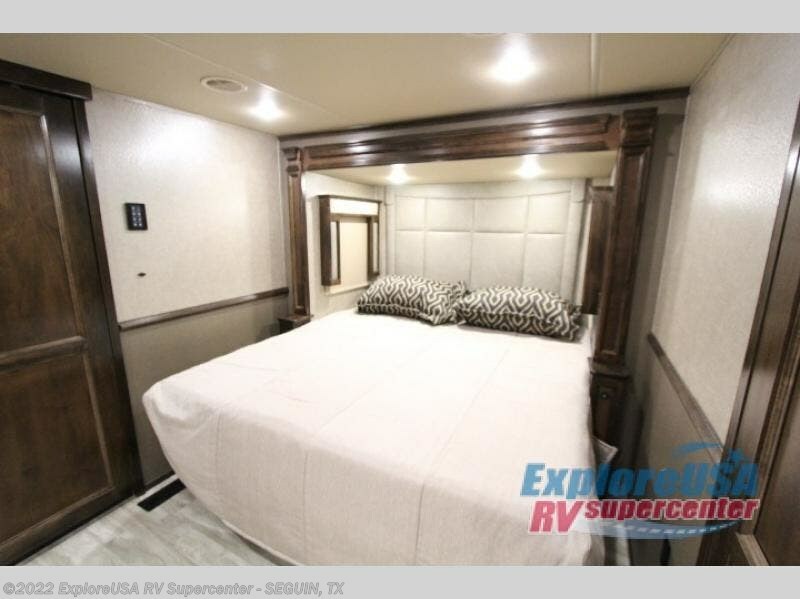 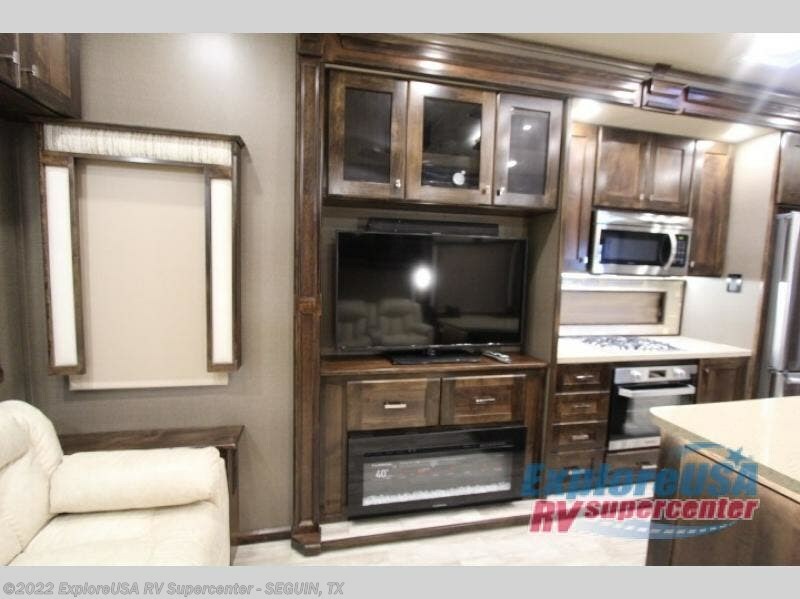 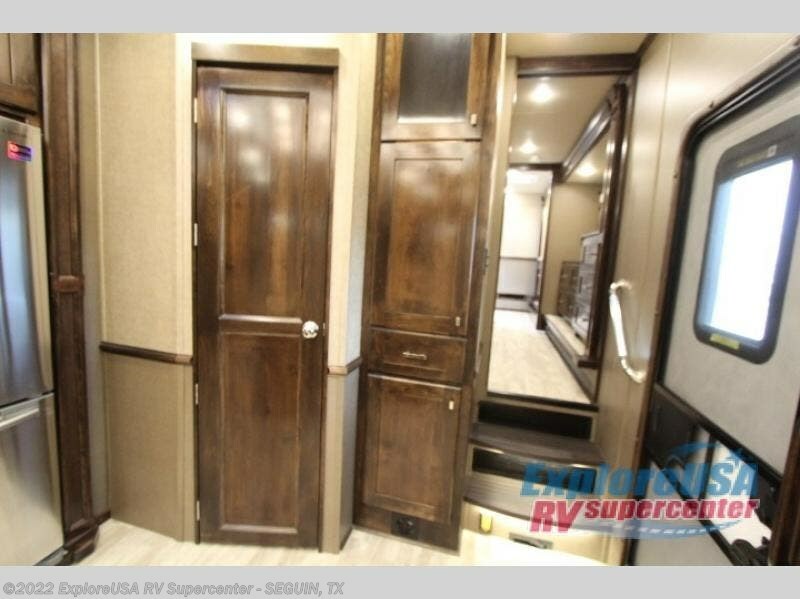 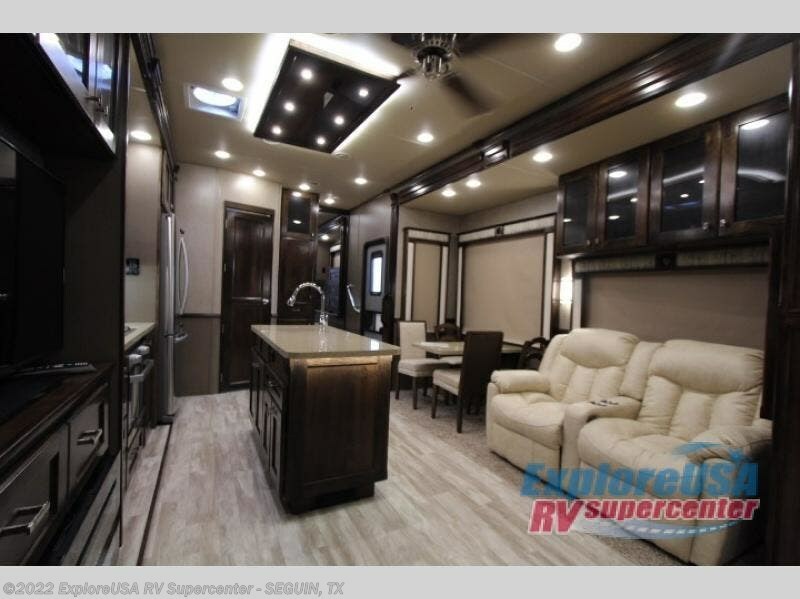 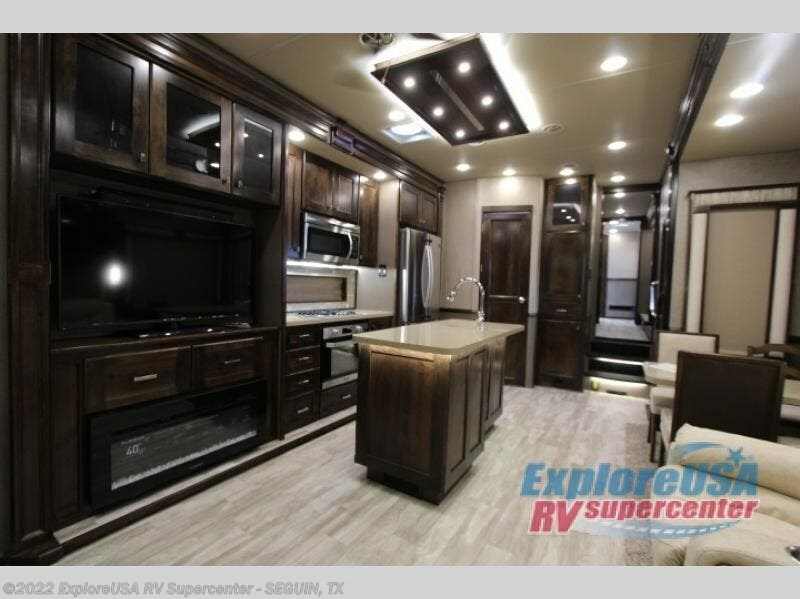 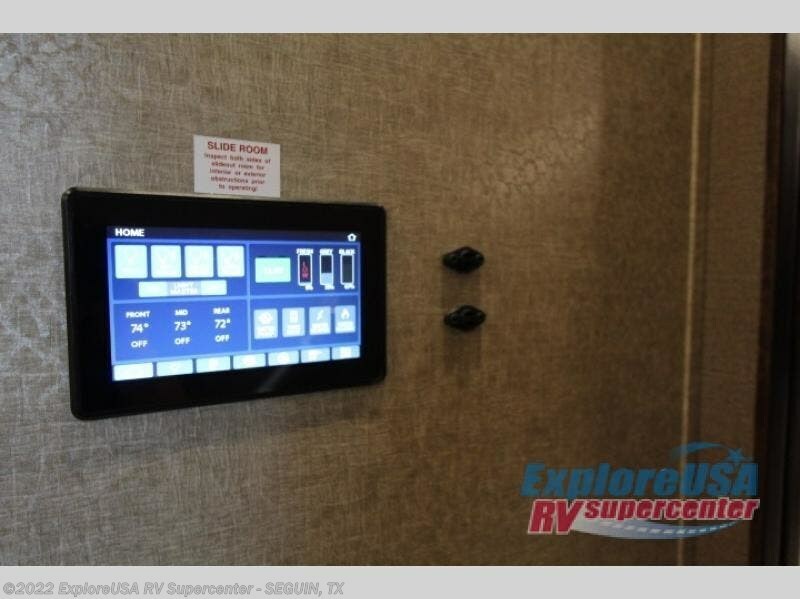 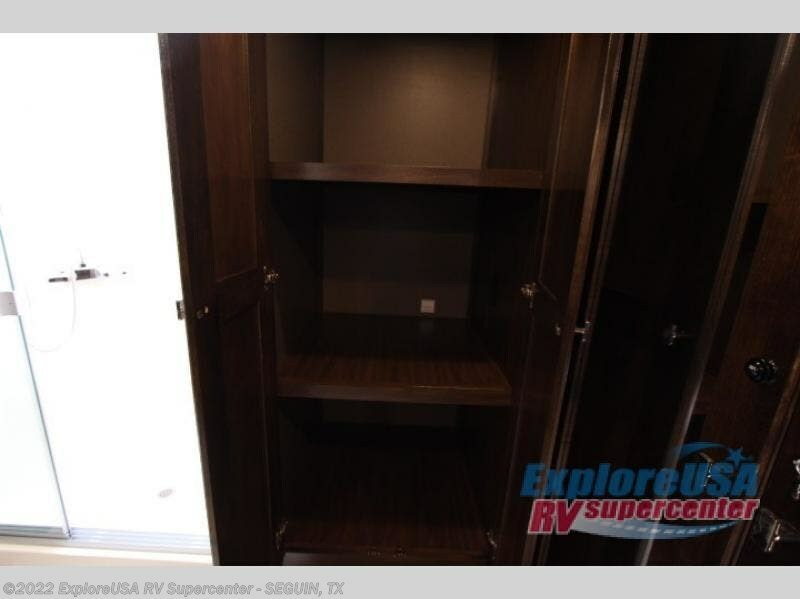 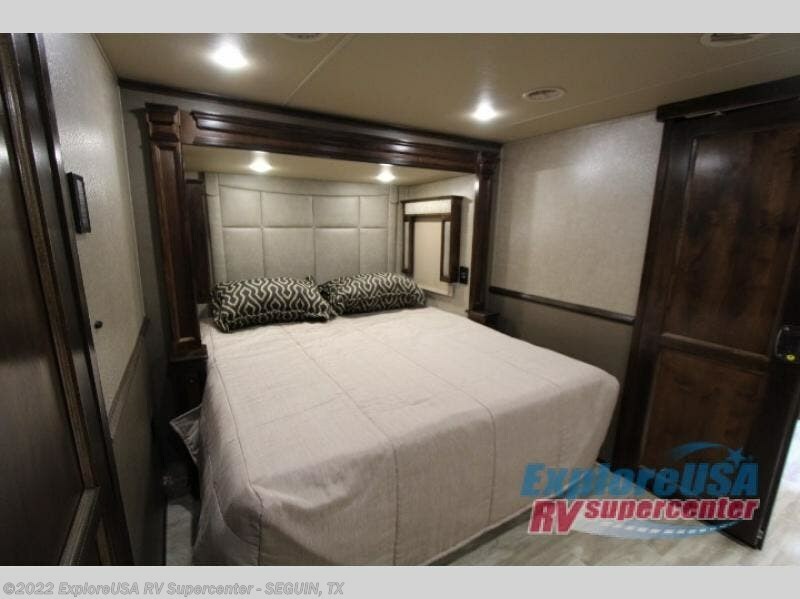 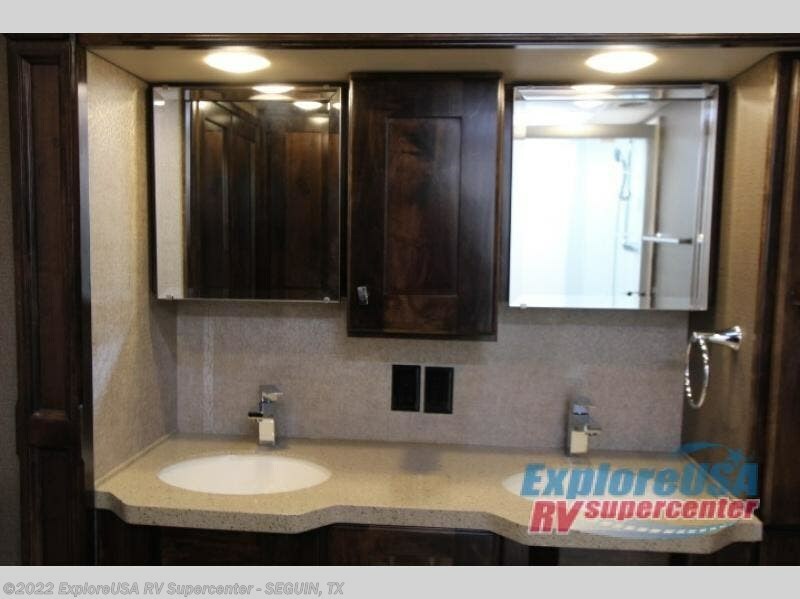 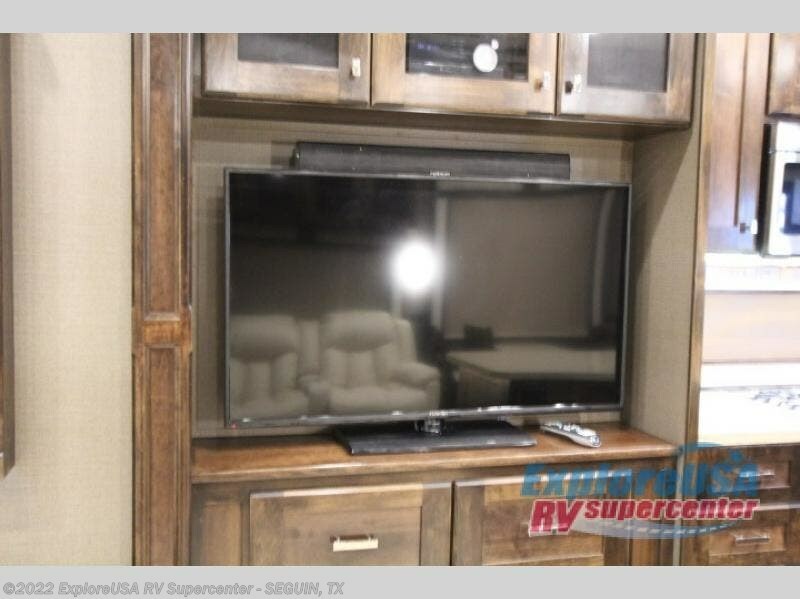 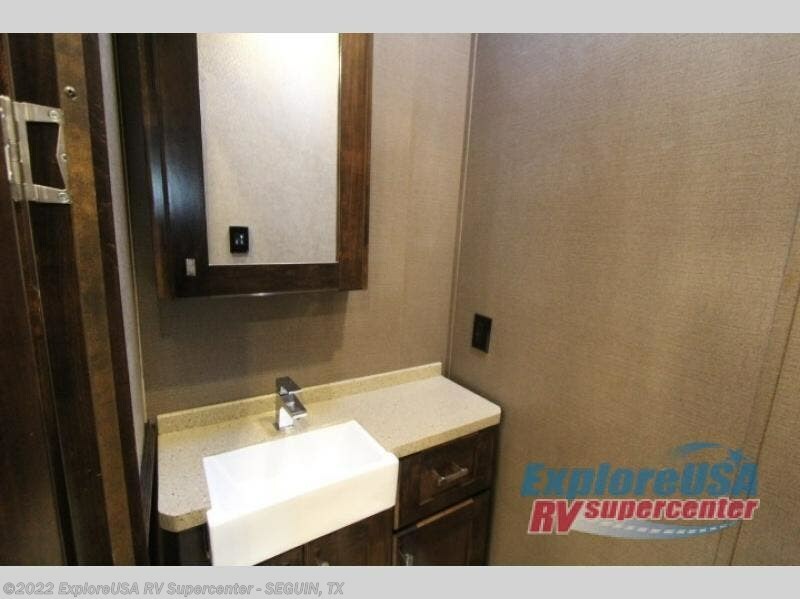 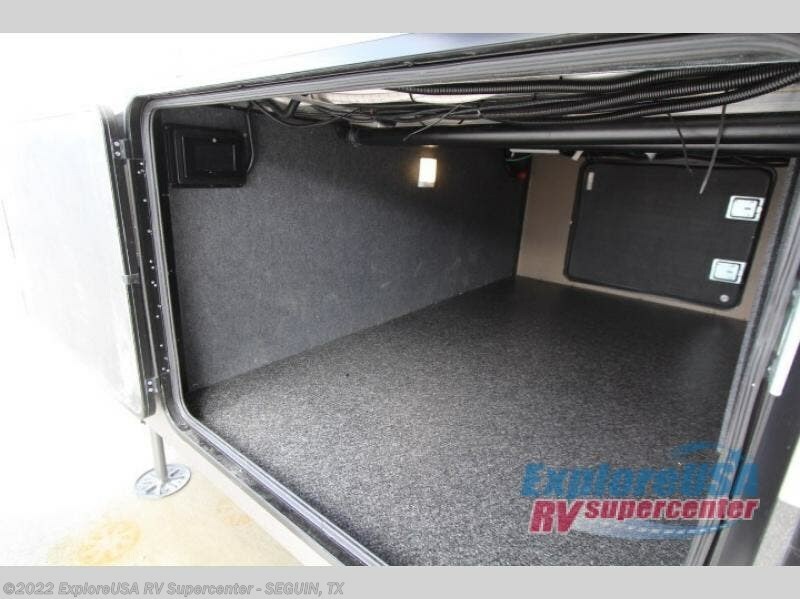 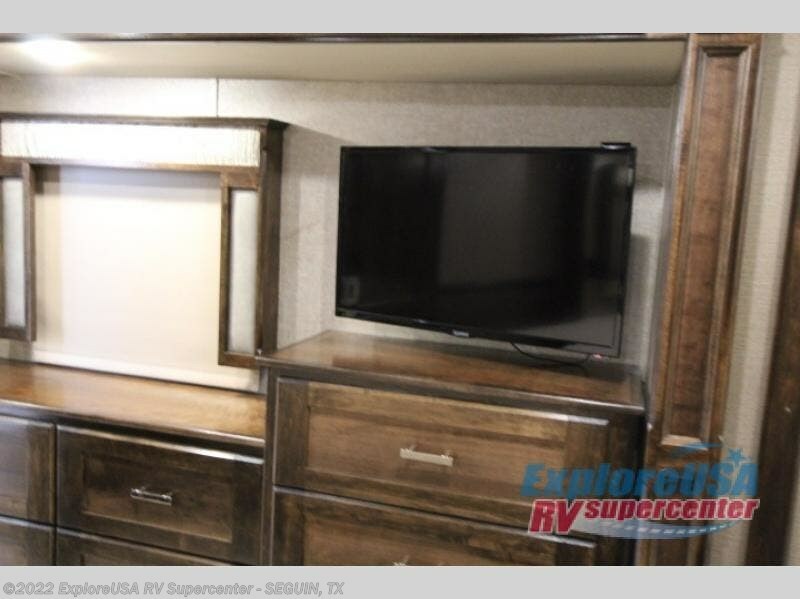 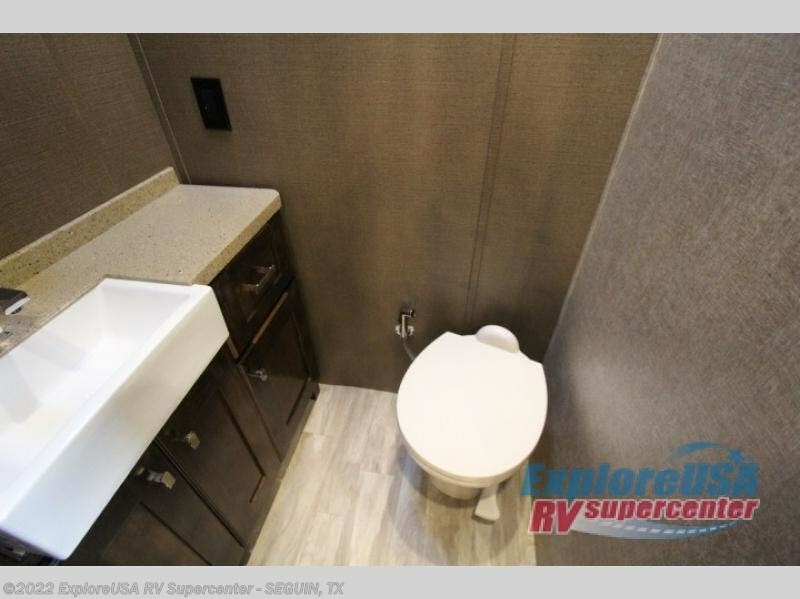 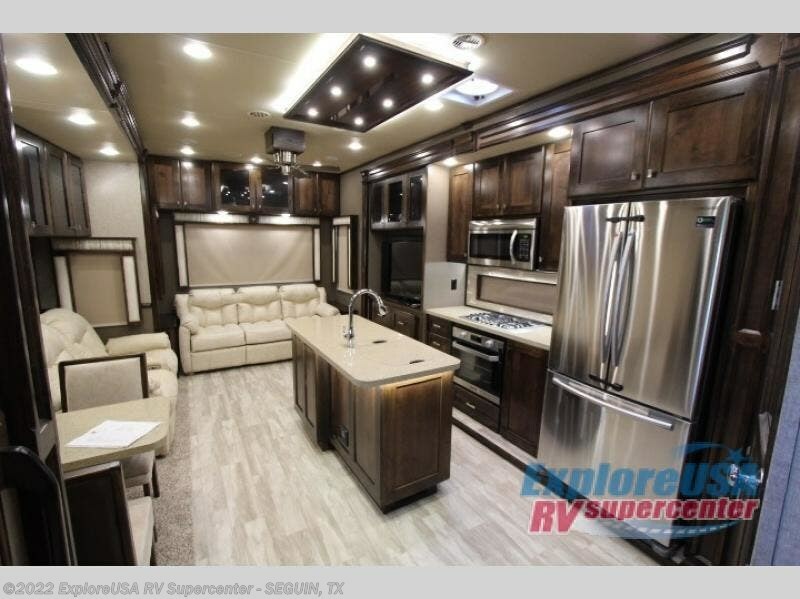 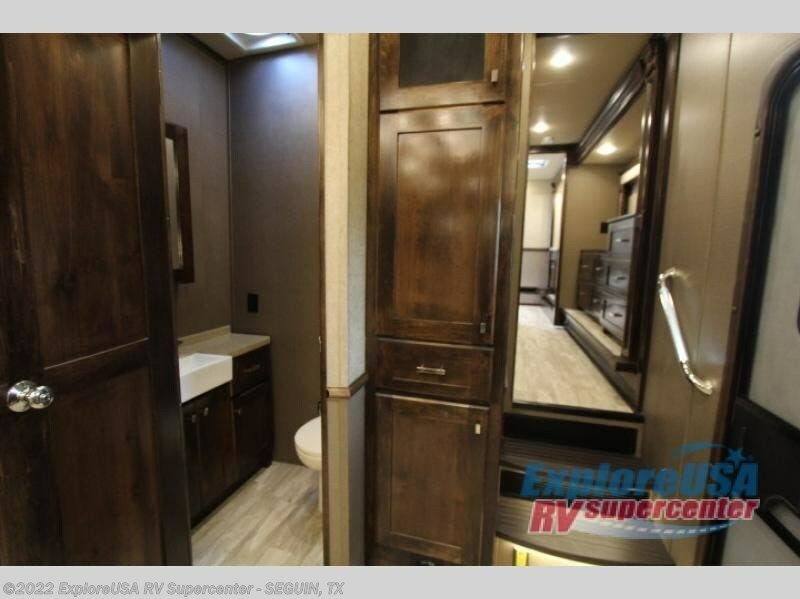 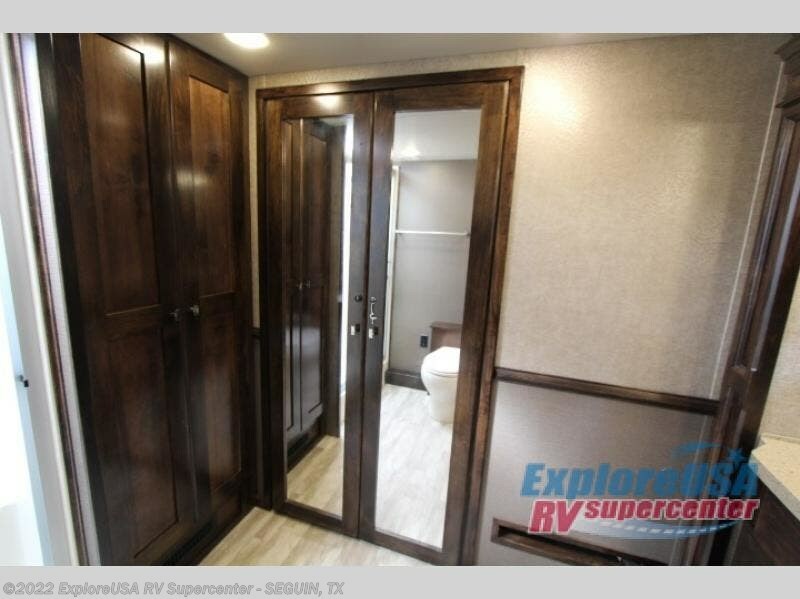 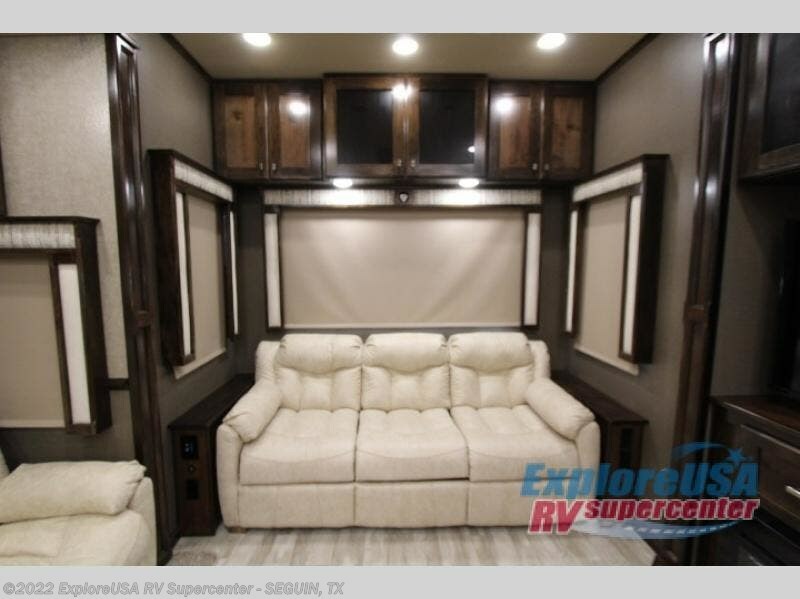 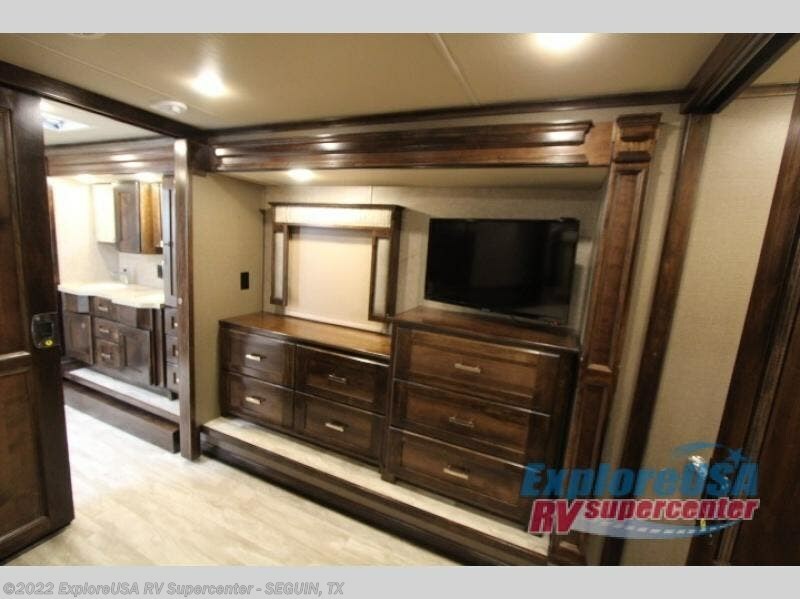 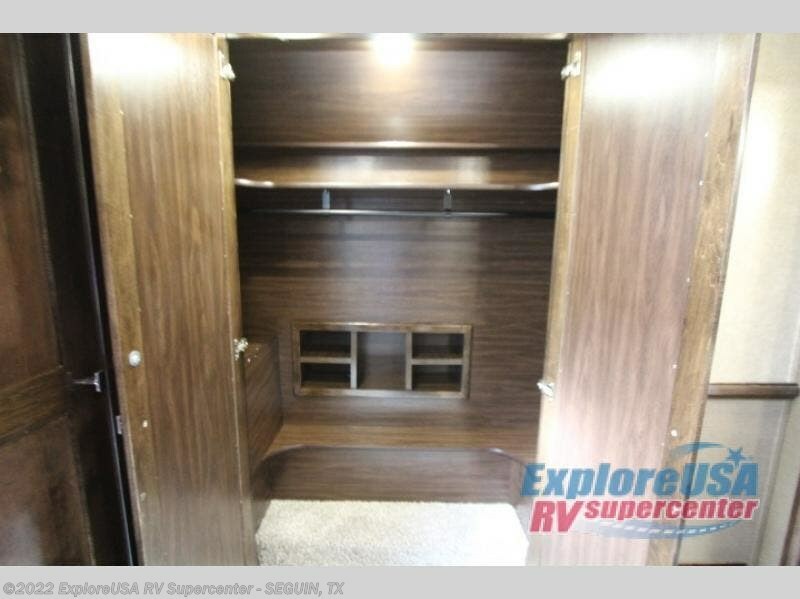 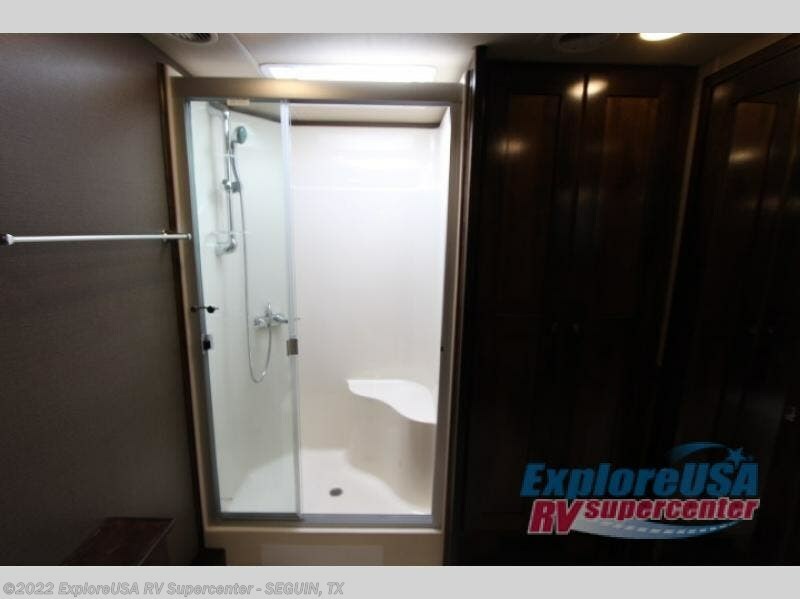 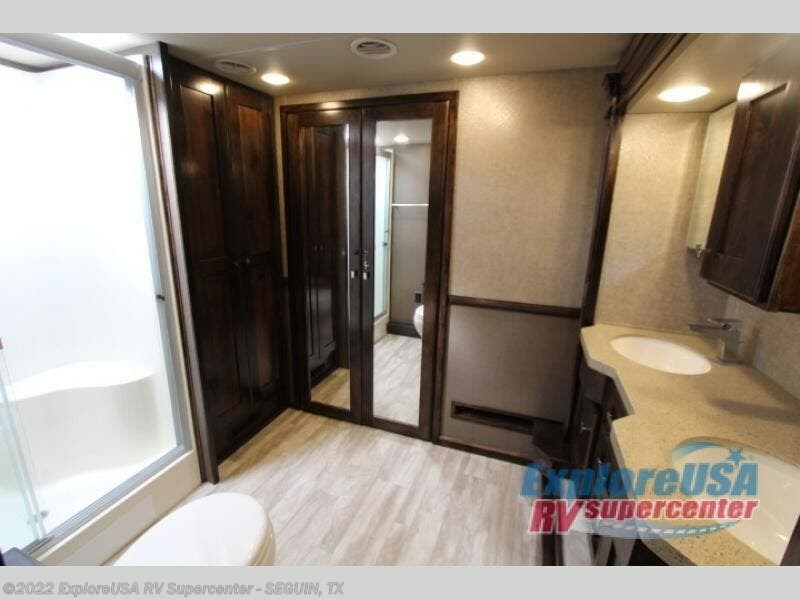 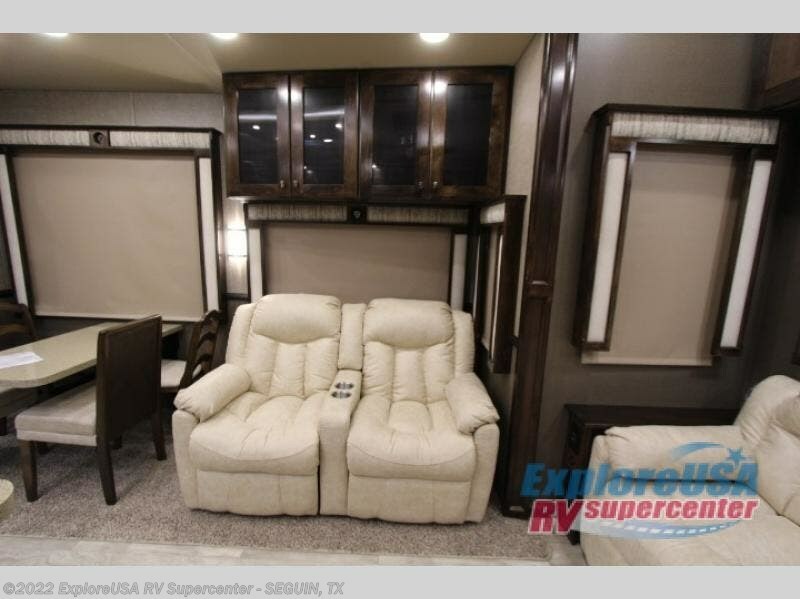 This front bedroom is secluded from the rest of the trailer giving you the perfect place to relax and unwind in peace each evening, and because this bedroom includes a queen-size slide-out bed, you have loads of extra room in this suite for a walk-in closet and 41" x 30" shower.